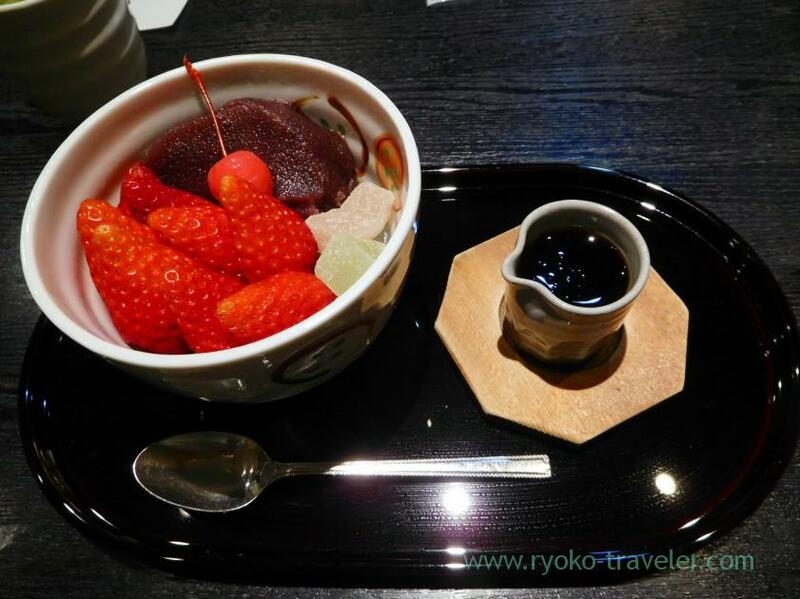 Strawberry anmitsu is “MUST” food when you visit here in winter. 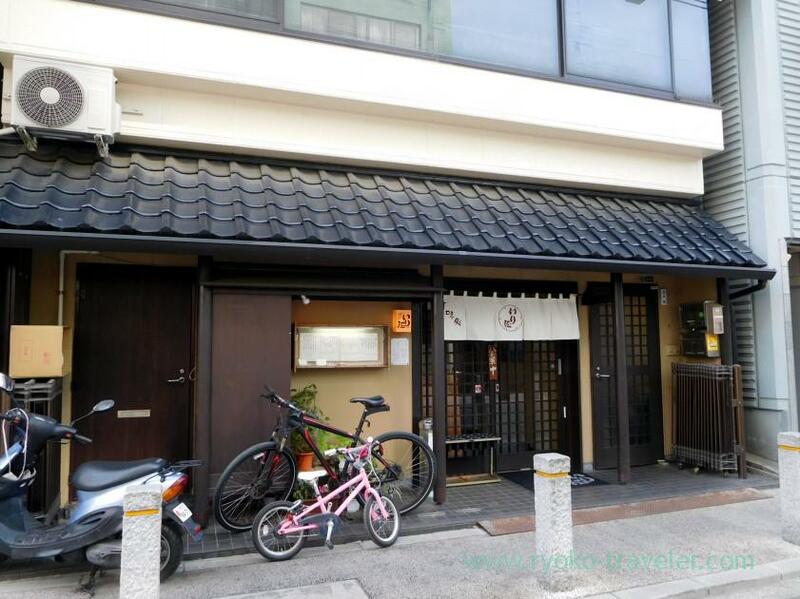 I visited Irie in Monzen-nakacho that is so popular as tasty anmitsu. 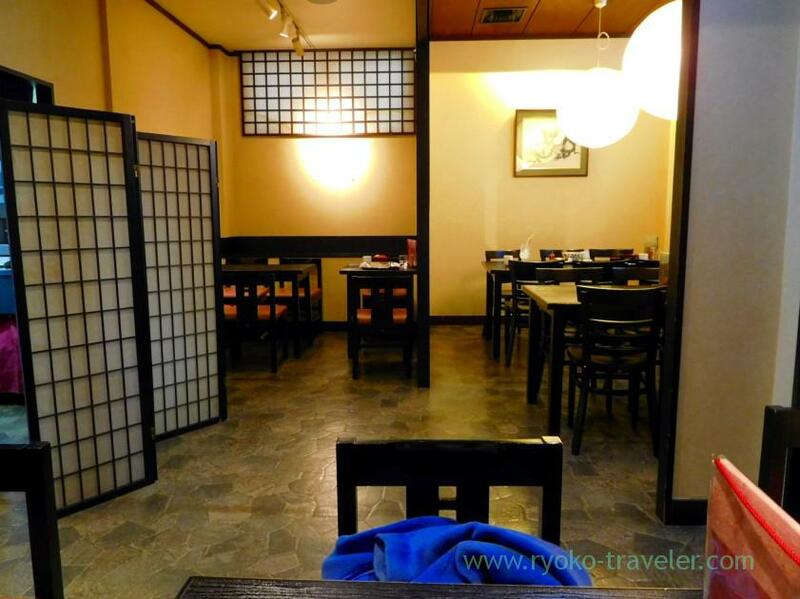 Monden-nakacho is one of the popular sightseeing spot. For example, Tomioka Hachimangu shrine have so many people during holiday season. Of course, Irie have many guests during such a season. But it was ordinary weekends. So, there weren’t many guests. 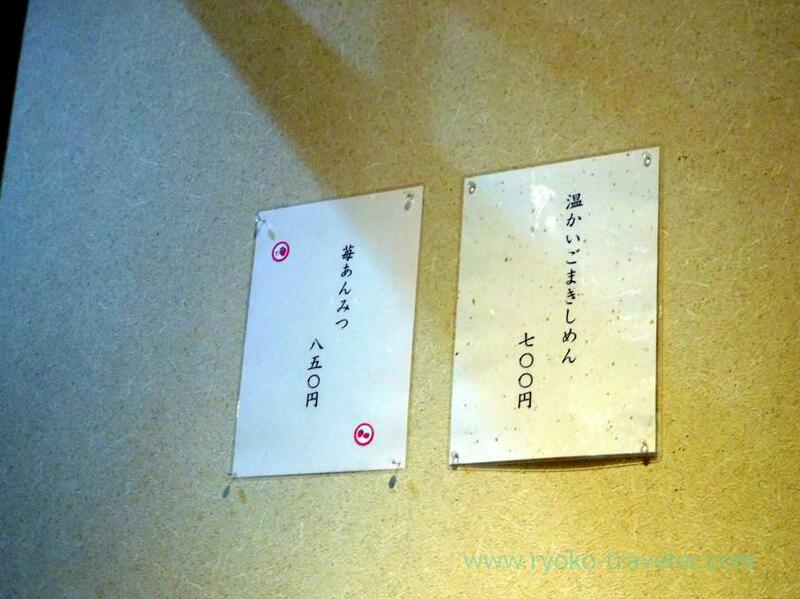 I intended to eat normal anmitsu, but I found Winter-limited menu hanging on the wall. Left attracted me. Strawberry anmitsu (苺あんみつ) ! I think this food will be end soon. I was lucky ! 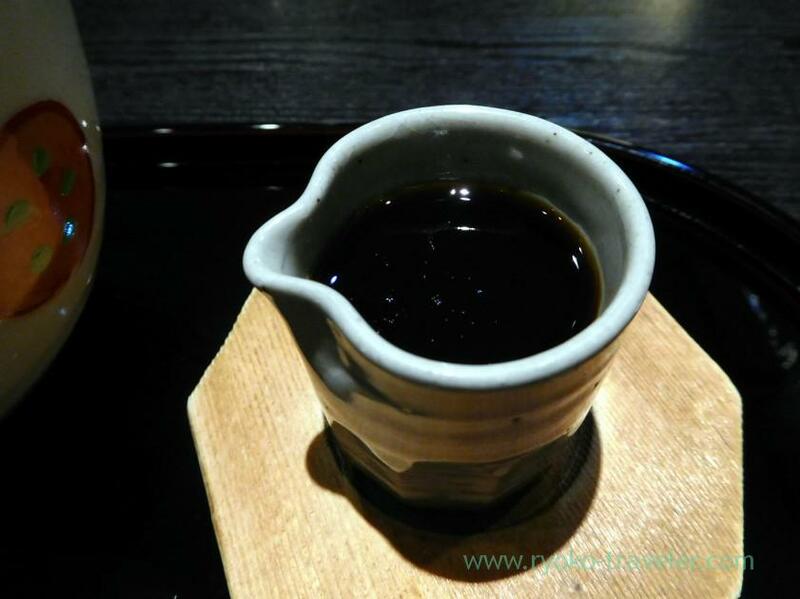 Syrup for anmitsu could be choosen from black syrup and white syrup. Strawberry anmitsu, too. I chose black syrup. This is the strawberry anmitsu ! I never thought such a looking ! 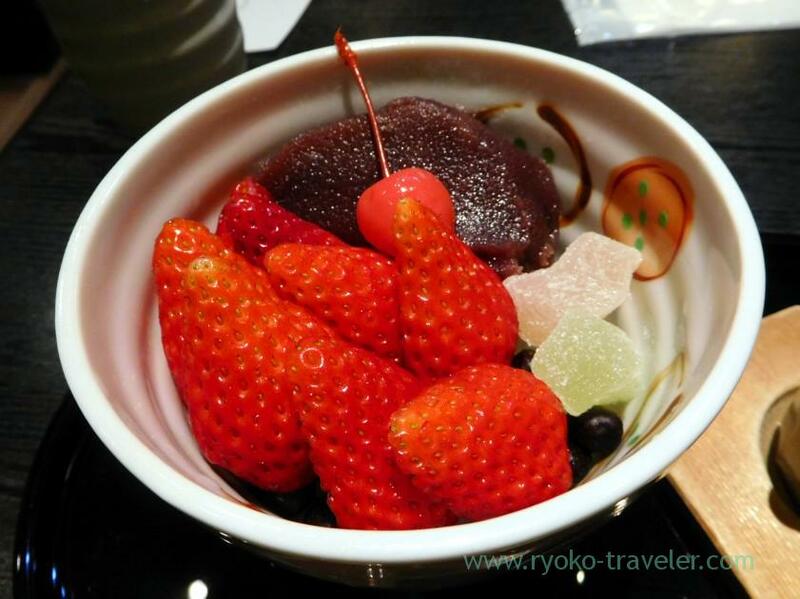 Many red strawberries on the anmitsu ! And smooth anko, cherry, gyuhi on it. 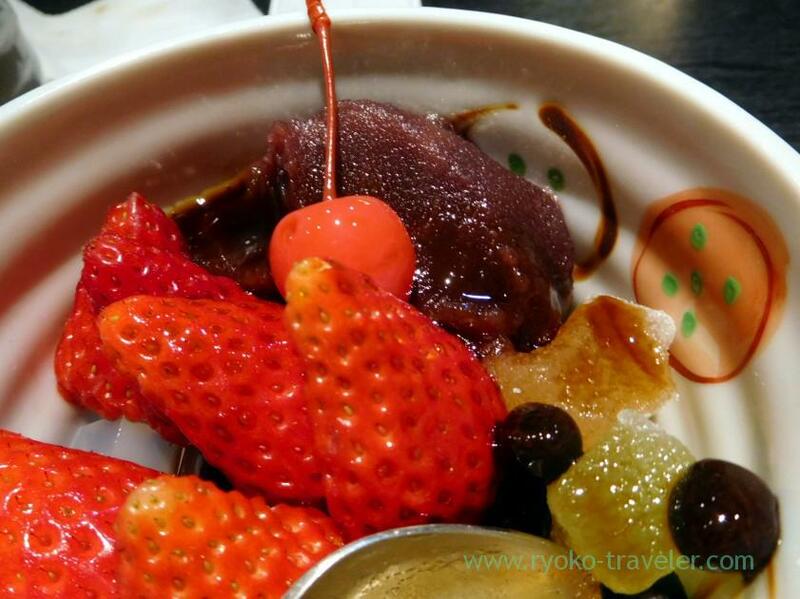 I think this is the “MUST” food when you visit this area in winter. And I put black syrup on it after a while. Truthfully speaking, putting all syrup on it is too sweet for me. But I love their syrup. So though I didn’t put everything at one time, I used all syrup. I drunk it up with spoon 🙂 Too sweet for me. But I was satisfied !